One of my projects this summer was to create a favor for the annual "Welcome Back Brunch" at our preschool. The brunch this year had a book theme, so bookmarks seemed like a perfect idea! These were relatively easy to make. I cut green and white polka dot cardstock to my desired size and adhered a piece of vellum (or the same size) using Creative Memories Frosted Splits. The owl was cut from cardstock using the Cricut Create a Critter cartridge. 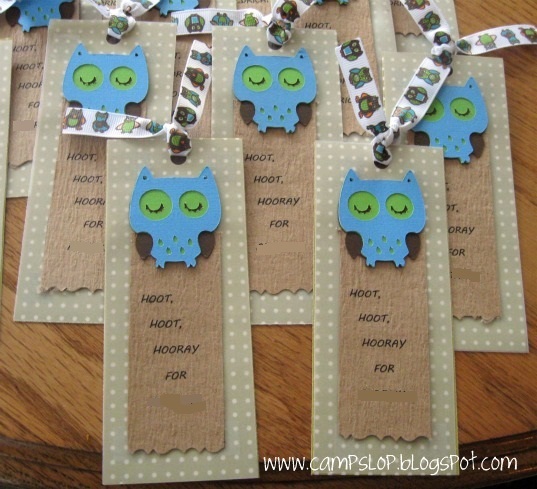 Using a textured cardstock, I printed the words "Hoot Hoot Hooray for (School Name)." 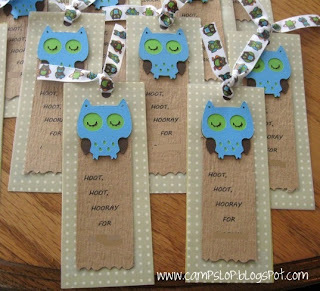 I made a few for my kids that said "Hoot Hoot Hooray for Reading!" Finally, I tied a printed owl ribbon to the top to finish it off. The trickiest part of this project was that after I printed the textured cardstock on my laser printer I found that the ink would simply rub off when touched. 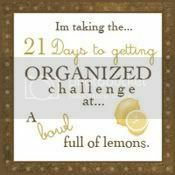 I scoured the internet looking for solutions and tried nearly every printer setting I could. Finally I found a tip to use a fixatif spray. I picked up Krylon Workable Fixatif spray at Hobby Lobby and it worked like a charm!